Long Island, like many other locations that people live that are going into a divorce, can represent a wonderful place for many families and couples who want to simply settle down and enjoy their lives together in a place that is brimming with culture, diversity, and beauty. According to national statistics cited by HG.com, the divorce rates in particular within New York are much lower than the national average - a sign of many healthy marriages that Long Island has helped to maintain for a number of years up to this point. There have been a number of theories as to why New York boasts much lower rates than those seen by the rest of the country, but there's little hard evidence to back these suggestions up. While it could be fair to say that a higher education level in general among residents of Long Island, and a higher overall age present when people do decide to get married contribute to better results, the truth is that it's hard to truly pinpoint what leads a marriage to dissolve, and matters like divorce and separation to become necessary. Because of this, though there may be many useful matters to think about when determining where you and your partner should settle down together, it seems that the concept of divorce rates shouldn't be one of them. Yes, New York has one of the lowest divorce rates, but that doesn't mean that your marriage, or anyone else's is guaranteed to be a success. Divorce is not something that any couple wants to think about - it's a complicated process that can include a number of emotional processes, from equitable distribution, to matters of child custody, child support, maintenance and visitation or parenting time among other issues. However, it can be helpful to know that if you do decide to settle down in Long Island, you will have access to a friendly, professional, and highly dedicated collaborative lawyer, litigator, and mediator. The Law and Mediation office of Mr. Darren M. Shapiro offers guidance and assistance for individuals in need of help managing matrimonial and family law issues. Located within working distance of both the Suffolk and Nassau County courts in Long Island, Mr. Shapiro is conveniently situated on 99 Jericho Turnpike, Suite 300K, New York, 11753. To get there, you simply need to drive off exit 40 from the Long Island Expressway, or take exit 34 on the Northern State Parkway. Either way, once you arrive you will be welcomed for your free initial consultation if it is your first time speaking with Mr. Shapiro. When attempting to settle the various matters involved in the divorce process, it makes sense that many couples would want to get through the procedure as quickly and efficiently as possible. However, it's worth thinking carefully about what the best route might be not only for you, but for your children, and your future. Mr. Shapiro will help you determine the most appealing choice by discussing each option with you in detail. One solution that can prove to be particularly appealing to many couples, is the solution of mediation. Mr. Shapiro offers mediation as a way of helping his clients to sort through the various issues that typically arise during a separation or divorce. As a trained mediator, he will play a crucial part in your Long Island divorce procedure, making sure that the discussion between you and your ex-partner is constructive, and open to negotiation. Perhaps the most useful thing to note about mediation is that it is a flexible process. In other words, it can be a less stressful way to sort out significant problems about your children and visitation times, or the financial side of equitable distribution, child support and maintenance or spousal support, if there is any. Though mediation isn't a solution that's suggested as a way to help you sort out your relationship problems (it's not a way to help you and your partner get back together), it can help you to agree about the issues that arise once you have decided that you want to split up. Mediation with Mr. Shapiro is like having a friendly referee present to help you move through your discussions more effectively, ensuring that you have the best chance of resolving your issues in a way that is not only amicable, but allows for the maintenance of some friendliness between partners - something that is particularly important when joint custody is considered. Importantly, it's worth remembering that mediators like Mr. Shapiro will not take sides in your Long Island Divorce case, or give you advice - that will be the role of your review attorney. 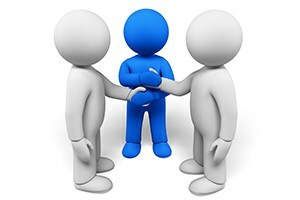 Mediators however can give you as much information as you might need about the various agreement options that are available to you. Besides the obvious benefit this solution affords - allowing you to reach an agreement about the future without the involvement of a judge and all that is involved with a court battle, mediation in Long Island with Mr. Shapiro's help can be a cost effective way of arranging agreements following a divorce. You will also know that you have examined all of the options carefully and decided on the process that has a great chance of working for you and your family because you are in control of the agreement and process. With mediation, you and your ex-partner will be the people in the driving seat, and the process will empower you to make decisions according to what works best for both of you. While neither party may get the exact results that they have been hoping for, the process of mediation will facilitate negotiation that leads to results that both parties can live with. Mr. Darren M. Shapiro offers his own trained mediation service to residents of Long Island regardless of which county they might come from. No matter the circumstances of your particular divorce or family law matter, it should help to know that you have access to a truly dedicated legal representative, whether you choose to pursue an amicable divorce through mediation, select the process of collaborative law, or simply stick with litigation or more traditional settlement negotiations. Those interested in booking their free initial mediation consultation, or those who simply want to learn more about the mediation process should get in touch with Mr. Shapiro at their earliest convenience, either via our online contact form, or by phone at: (516) 333-6555.